Cabo San Lucas is a beloved tourist destination located at the southern tip of the Baja California Peninsula in western Mexico. It combines with the neighboring town of San Jose del Cabo to form the region colloquially known as “Las Cabos.” Cabo San Lucas is a spring breaker’s paradise, as well as a favored vacation spot of those who enjoy white sand beaches and excellent scuba diving. The city is packed with beachside restaurants and shops, but the possibilities for fun extend well beyond the lapping waves and beach pathways. 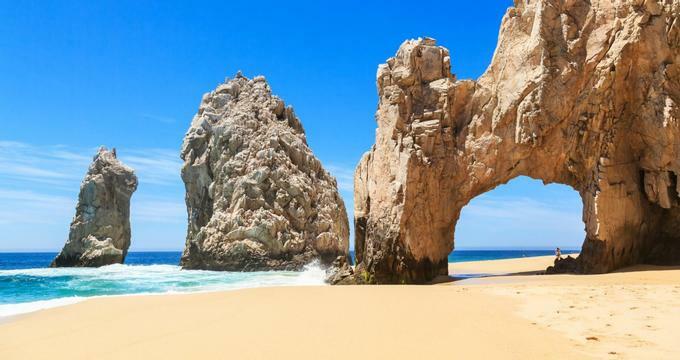 El Arco de Cabo San Lucas, or Land’s End as it is commonly referred toknown, is one of Cabo San Lucas’s most famous natural landmarks and most popular spots for photo ops. 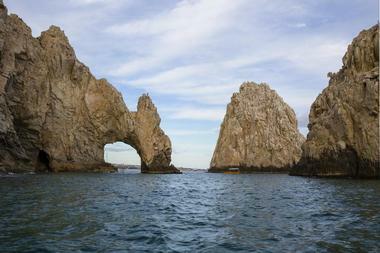 El Arco, which means “the arch,”, hangs over the edge of the Baja pPeninsula and overlooks the clear, wide sea. The reason it is called Land’s End is because if one were to point a line due south from this jagged rock formation, the line would extend straight to the South Pole without ever crossing land. Below El Arco is the Playa del Amour, or Lover’s Beach, a popular spot for snorkeling and sunbathing. 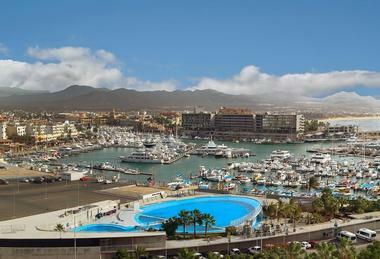 The area is easily reached by boat taxi from the Cabo San Lucas Marina. 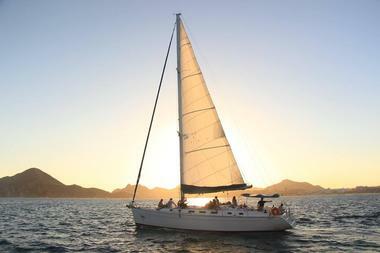 Cabo Adventures is a one-stop shop for all things water and adventure sports in Cabo San Lucas. The activities provided by the company are truly endless. For lovers of nature and animals, there are wildlife programs and experiences such as whale watching and camel safaris. For those who want to dive in and get up close and personal with Mexico’s marine life, Cabo Adventures has dolphin experiences for both adults and children, as well as snorkeling packages. Divers can get their fix here as well, as the company offers scuba diving certification and programs, and while sailing and adventure sports are also on offer. 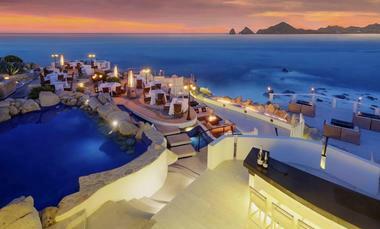 Sunset MonaLisa is the premier spot for sophisticated Mediterranean food in Los Cabos. This restaurant, which is led by Michelin-rated Italian chef Paolo Della Corte, prides itself on the quality of its dishes and ingredients and its breathtaking setting. The restaurant is located on a cliff overlooking the Bay of Cabo San Lucas, and it has several different sections, including nine outdoor terraces and a champagne bar with a number of fire pits. Dining at Sunset MonaLisa is like being at the edge of the world, and this venue is the perfect place to watch the sun as it sets over the water. Hydro Flyboard Los Cabos provides visitors to Cabo San Lucas with an adventure sports experience unlike any other. Flyboarding is a unique watersport experience in which the rider is thrust up into the air by jets of water and is able to “board” high above the water’s surface. Hydro Flyboard Los Cabos covers everything one needs for this experience, including gear rental and lessons. Their trainers work in the exclusive Puerto Los Cabos Marina, which means that guests have plenty of space to enjoy their time on the flyboard. The basic package includes a 30 -minutes of lessons and 30 minutes of fun on the board. The Cabo Winery Restaurant at Los Cabos Winery has the full package— – great food, wine, and entertainment all just steps away from the town center of Cabo San Lucas. 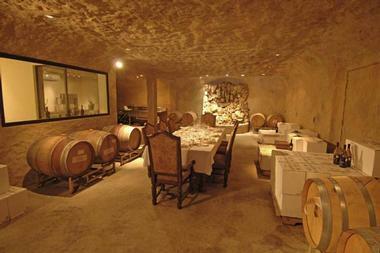 The venue has a rustic feel, particularly in the caves where the barrels are aged. It includes a gallery with works of local Mexican art, a theater for special showings, and of course, the restaurant itself. The restaurant serves lunch, dinner, and tapas, and all can be accompanied by tastings of the latest vintages from the winery. The menu includes classics like steak and pasta, as well as a number of seafood dishes made with locally caught fish and shellfish. The Casa de Colores School of Traditional Mexican Cooking is a Cabo culinary delight led by Hhead Cchef Donna Somerlott, who has lived in the region for over a quarter of a century. In her own Mexican kitchen, which provides the venue for the Casa de Colores school, Somerlott leads small-group cooking classes where guests of to the region work together to create delicious, traditional Mexican dishes. The lessons are lively affairs that incorporate authentic regional ingredients as well as local culinary techniques which can later be applied to cooking at home. Spaces are limited to keep the atmosphere comfortable and personal. Dive Cabo is the best of the best when it comes to Cabo San Lucas diving centers. This PADI five-star diving facility is conveniently located at the Cabo San Lucas Marina, and the company specializes in bespoke diving tours, particularly for seasoned scuba divers. Dive Cabo provides daily scuba and snorkeling tours to some of the most famous underwater sites on the Baja Peninsula, such as the Sandfalls, Marine Park, the Sea Lion Colony, and Gordo Banks, a popular schooling place for hammerhead sharks. Some advantages of diving with Dive Cabo include their focus on small group experiences, free enriched Air Nitrox for dives, free underwater photography, and complimentary refresher scuba courses thirty 30 minutes prior to each dive. Another historical and architectural icon of Los Cabos, the Palacio Municipal sits on the main square of San Jose del Cabo. The building is a pastel yellow color, which complements the historic feel of the old town square in which itn resides. The building is of the Spanish Colonial architecture style, reminding those who view it of Mexico’s storied history as a subject of the Spanish Empire. Because the Palacio Municipal is still operational as the city’s seat of government, no one from the public is allowed inside, and no tours are offered. However, one can still enjoy the building’s beautiful façade while sitting nearby in the square. 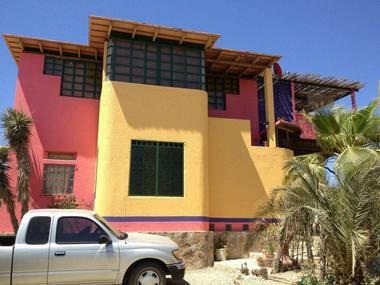 The Estrada Art Gallery is a small, tucked-away space in Cabo San Lucas. Hector Estrada, the creator of the works on display, is also the proprietor of the gallery. This bright, white space with Mexican-style tiles lining its floors includes works from several media, including paintings and sculptures. The unique collection updates as the artist continues to actively work on his craft and display new pieces. 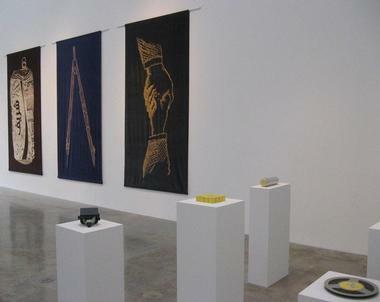 Less commercial than other galleries in the area, the Estrada Art Gallery has a particularly personal feel, especially given that the artist himself is always available on site. In addition to serving as a showing space, the gallery also supports painting classes led by Hector Estrada. 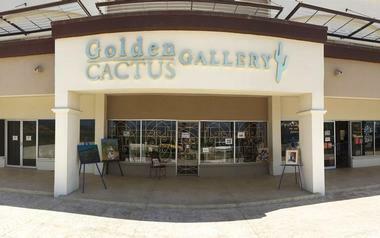 Established in 1997, Golden Cactus Gallery has since been an iconic Cabo San Lucas art staple, which featuringes works from a host of famous artists who hail both from Baja California and, other locations throughout Mexico, and as well as the United States and Canada. Each of these artists presents his or her own interpretation of the Cabo region, expressing its fascinating nature and an atmosphere of endless romance. The gallery has grown with Cabo, and in 2015, it opened a convenient storefront at the Plaza Casa Blanca. Although most of the works here are paintings, the gallery also has prints, lithos, and gicleées on display and for purchase. A hike up Mt. Solmar is not for the faint of heart, but this three3-hour trek certainly proves to be worth the effort, as it leads to some of the most stunning views in all of Cabo San Lucas. 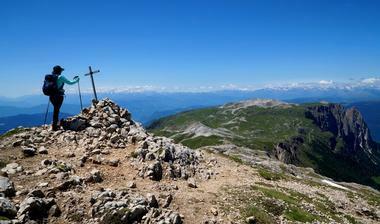 At the top of Mt. Solmar, one can see amazing panoramas of the point at which the Sea of Cortez and the Pacific Ocean meet, a staggering sight of calm blue waters and unbelievable rock formations. The trail up the mountain has several access points to begin a hike, but unfortunately, many of them are difficult to locate. However, a number of hotels and resorts are located along the peak, providing routes into the trail and chances to take in the view. 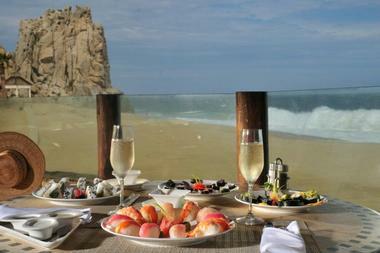 Many visitors to Cabo San Lucas wish to taste the local flavors, but do not know where to begin their culinary journey. Thankfully, Juan More Taco Food Tours, a walking tour company, is ready to step in to introduce tourists to the best of Mexican cuisine in the Los Cabos area. 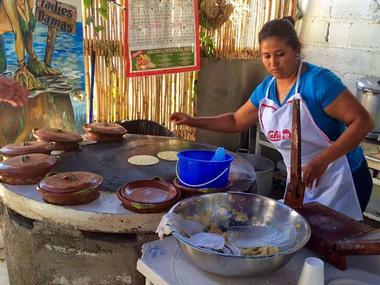 The experienced, local guides of the Juan More Taco team lead guests through the neighborhoods of downtown Cabo, introducing them to the city’s best eateries and street food, and allowing them to tasty local specialties such as fish tacos, tacos al pastor tacos, and aguas frescas. In addition to the foodie-focused aspect of the tour, guides also provide information about the region’s history, culture, and traditions. Although many flock to Cabo San Lucas for its lush beaches and sunny weather, the area is not without its cultural landmarks and sights as well and, the Museo de Historia Natural, or Museum of Natural History, being is one of the best of these. 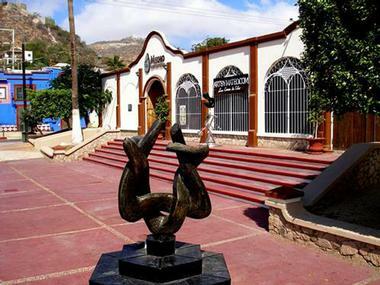 Located on the main square in downtown Los Cabos, the museum covers a number of disciplines, including geology, biology, anthropology, and paleo-botany. Exhibits talk about the diverse wildlife that have has inhabited this part of Mexico, as well as the natural ecosystem that has allowed them it to thrive. 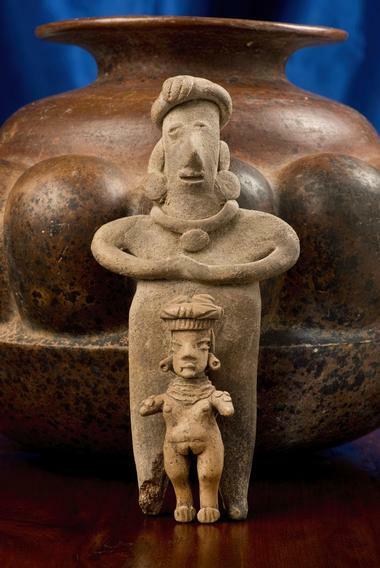 The Museo de Historia Natural also brings the history of Cabo to life with permanent exhibitions on this subject. 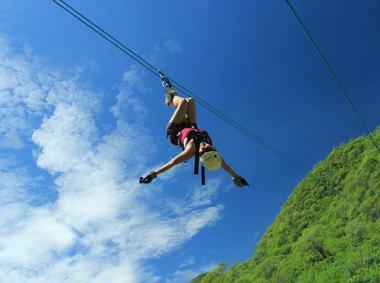 The Outdoor Zip Line Adventure in Cabo San Lucas has earned many superlatives; it is the fastest, longest, and highest zip line in the whole of Mexico, with those on its lines reaching speeds of up to 60 miles per hour. Riders race high above the canopies of a UNESCO-protected biosphere, giving them views of the Mexican tropical jungle normally visible only from a bird’s-eye view. The experience begins with a safety presentation, followed by a course including rock climbing challenges, ladders, hanging bridges, and of course, the zip lines. After completing the longest zip line in the course, the Superman, guests take their places on off-road buggies to finish off the day with an exciting drive. Located on a former 19th century sugarcane plantation about a mile from the San Jose Del Cabo's estuary and Sea of Cortez, Los Tamarindos is a unique organic farm and restaurant. The restaurant, located in the beautiful old stone house, is surrounded by 17 acres of gardens where they grow a lot of the ingredients they use to cook magnificent Mexican and Mediterranean dishes. It is a very special experience sitting on the shady stone terrace on one of the rustic wooden communal tables and enjoying your meal while watching the lush fields full of ripe fruits and vegetables. 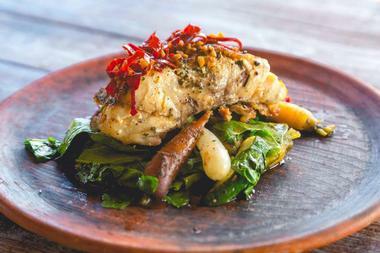 Los Tamarindos is famous for its cooking classes, where they take the farm-to-table concept literally. They teach students hands on how to prepare a four-course meal with the ingredients grown on the farm. The students then sit at the table on the terrace and share their meal with their fellow students. Sunset MonaLisa is a world-class fine-dining restaurant in Los Cabos, located on a cliff offering spectacular overlook views of the Bay of Cabo San Lucas at the tip of Mexico's Baja Peninsula. The restaurant, which has been named as one of the world's coolest restaurants by The New York Times, is helmed by Michelin-starred executive chef Paollo Della Corte and serves up elegant, inventive Mediterranean fare, including delicious pasta dishes such as ravioli al Genovese, paccheri polipo, and black truffle tagliatelle. 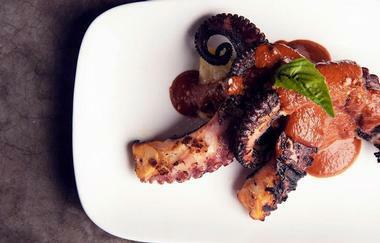 Gourmet land and sea fare is also served, such as lamb shank confit, grilled octopus with porcini mushrooms, and braised Alaskan salmon. Visitors can choose from indoor palapa seating or outdoor terrace seating, including a champagne bar and fire pit area. Given its position on the seashore, it comes as no surprise that Cabo San Lucas has a rich fishing history, with this industry playing a key role in the region’s development. The Pasado Marina de Museo presents this theme through the lenses of both history and natural history. Its exhibits discuss the popularization of fishing in Cabo and how it grew over the years, while also bringing the fish themselves to life through a number of preserved specimens. These include local species of marlin, tuna, and sharks, as well as other less recognizable marine dwellers, which line display cases and hang suspended from the ceiling. 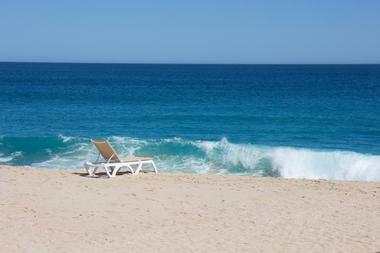 It is quite possible that Playa El Médano is the most hopping beach in Cabo San Lucas. Certainly the center of social life in town, this beach is a magnet for spring breakers and other vacationers looking for a party. It stretches over two 2 miles of sand, and the beachfront is teeming with bars, restaurants, shops hawking souvenirs, and watersports equipment rental companies. In addition to all these amenities, Playa El Médano is also popular as a swimming destination, given its calm, safe waters. Other Cabo places of interest, such as Lover’s Beach and Land’s End, are easily accessible from the beach via water taxi. 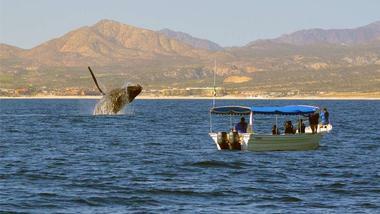 Whale Watch Cabo specializes in one-of-a-kind small- group educational whale watching tours in the waters off the coast of Cabo San Lucas. 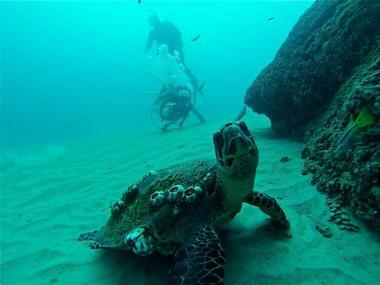 This company offers professional tours led exclusively by marine biologists. Guests enjoy not only the majesty of the whales themselves, but also free photos and microphones to listen to the whales “sing”. Whale Watch Cabo guarantees whale sightings in season and allows guests to return for another complimentary trip if no whales are spotted on their first. In addition to its tours, the service also leads a number of marine biology conservation initiatives, including as the founders of the Los Cabos Whale Conservation Society. A special treat for lovers of wine, the Grand Solmar Land’s End Resort and Spa offers a comprehensive three3-hour wine tour at its in-house La Roca restaurant. The mini-course delves into the history of wine and the process of winemaking and is capped off with a tasting of six different vintages and pairings with different hors d’oeuvres. The entire experience is led by the hotel’s sommelier, who guides the “students” through each step. Instead of lecture-style explanations, the class offers chances to really get into the winemaking process – —modules include activities like stomping on grapes and sipping on the finished products. Parroquia San Lucas Evangelista is another important landmark situated on the main square in Cabo San Lucas. This Catholic Church is one of the oldest buildings in town, and it adds a dose of history to the otherwise resort-focused region. Visitors are permitted to enter the church to take a look at its decorative interior. The church continues to be a house of worship, and Catholic masses are held here every weekend and on religious holidays. 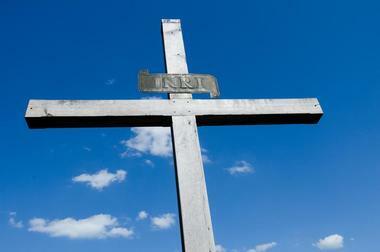 Most masses are in Spanish, but there is one bilingual service offered as well. Attending mass is a unique opportunity for tourists to catch a glimpse of the everyday life of Cabo San Lucas locals.